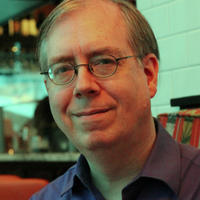 Robert David Sullivan is a freelance writer and editor living just outside of Boston. He writes on politics and culture and has blogged the "Top 100 Sitcom Episodes of All Time." Several characters enjoy moments of triumph in “Alicia,” but in the Veep universe, victory is always fleeting. All it gets you is the chance to move on to the next power play, where your hard-earned savviness may be outmatched by your opponents’ growing desire for revenge. The Michael J. Fox Show: "Couples"
How does a middle-aged married guy make new friends? He can’t, according to The Michael J. Fox Show, because he and his wife are terrible people with a weakness for ridiculous schemes. The Michael J. Fox Show: "Secret"
The Michael J. Fox Show: "Christmas"
The Michael J. Fox Show: "Homecoming"
The Michael J. Fox Show: "Bed Bugs"
This week Betsy Brandt, in a Breaking Bad purple dress, defends her husband’s honor by throwing a lobster at a (legally) blind man. Now will America pay attention to The Michael J. Fox Show? The Michael J. Fox Show: "Teammates"
Betsy Brandt gets to play the embarrassing spouse in this week’s Michael J. Fox Show, and there’s finally an interesting conflict in a cast of characters that are usually too nice to each other to be funny. The Michael J. Fox Show: "Interns"
In this week’s episode, Mike Henry has trouble making air quotes because of his Parkinson’s disease. Later, his awkward movements make him look especially crazy when he directs a sarcastic dance at a woman’s chest, refusing to believe there’s a tiny camera inside one of her blouse buttons. The Michael J. Fox Show: "Hobbies"
Workplace rivalries are funny on TV but almost never so in real life. When two colleagues can’t stand each other, it usually results in arguments, lots of sick days, and a lowered morale for the whole office. Fortunately, the feuds rarely last long before one of the parties leaves, voluntarily or not. The Michael J. Fox Show: "Art"